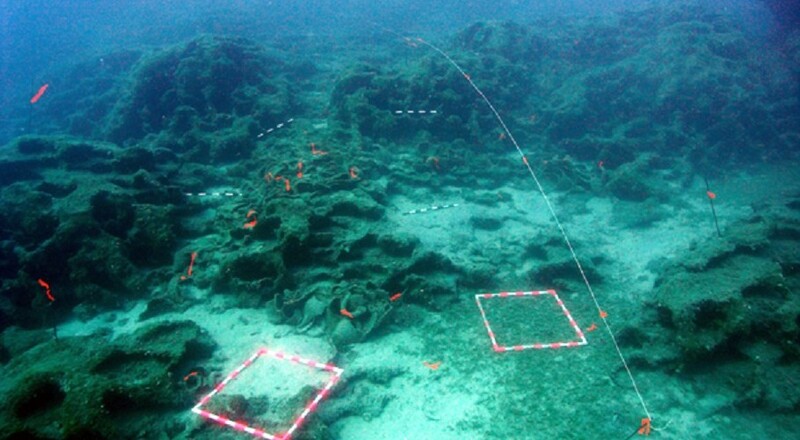 The wrecks at Kekova Adasi and Kepçe Burnu hold potential to reveal interesting answers about maritime internationalism in the archaic world. The area was initially surveyed by INA in 1973. In 2008, a survey was conducted by INA affiliated scholars Dr. Elizabeth Greene and Dr. Justin Leidwanger. 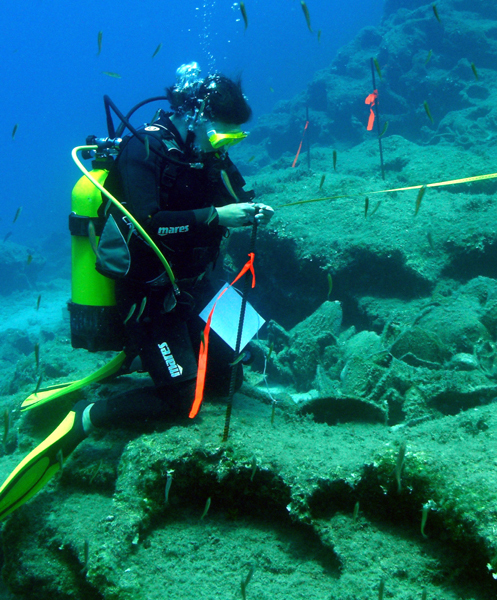 The project was focused on studying the wrecks in order to understand what the pre-monetary economy looked like and why were these three regions (Greece, Cyprus, and Anatolia) trading with each other. 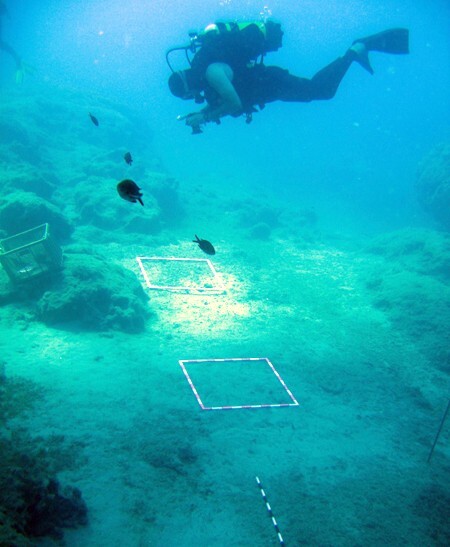 The visible surface of the wreck at Kekova, which is far more complex than earlier surveys seem to suggest, was photographed over the course of two weeks. About 100 broken basket-handle amphoras, possibly Cypriot, and perhaps a dozen each of types from Corinth and Samos were found on the surface of the site, as well as two mortaria (shallow bowls like those found at Pabuç Burnu), and a one-handled Ionian cup. In Cokertme the plan was to look at an archaic wreck with basket-handle amphoras found at Kepeçe Burnu at the western edge of the harbor (according to George Bass’s 1973 survey report) and “another wreck” at Cokertme according to the 1980 survey. Dr. Elizabeth Greene and Dr. Justin Leidwanger reviewed the survey finds and were suspicious that the “two wrecks” were one and the same. A day of diving the shallow, extensive site confirmed these suspicions. While the site is probably not worth excavating as it is badly broken up, the scattered sherds do indicate another example of archaic exchange between Cyprus and the Ionian coast. 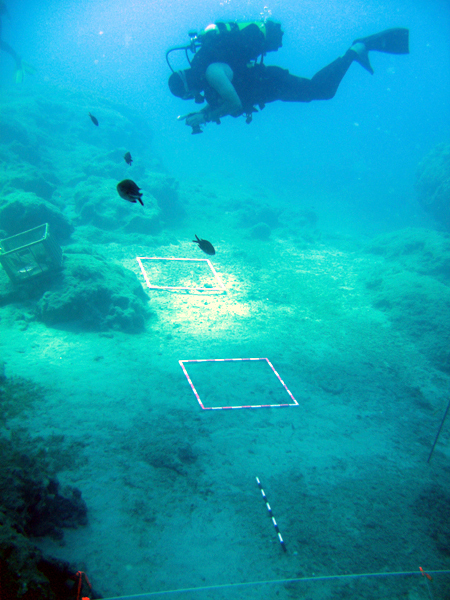 ABOVE: (Left) Brock University’s Katie Ongaro maps diagnostic artifacts on the seabed at Kekova Adasi (Photo: INA). (Right) Troy Nowak shoots pictures for a photomosaic of the 7th-century B.C.E. shipwreck at Kekova Adasi (Photo: INA).